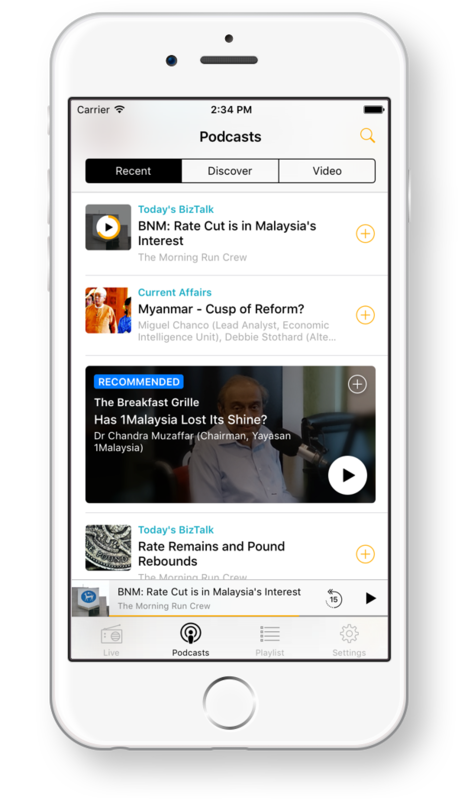 Reimagining BFM on iOS and Android. 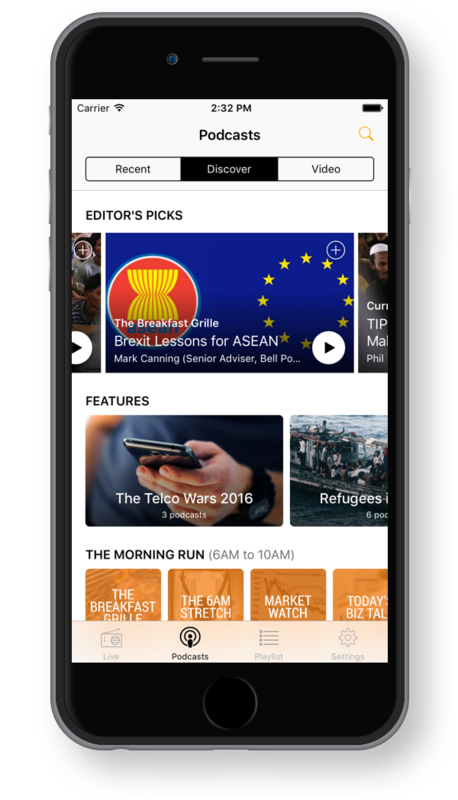 Snappymob worked with BFM Media to build iOS and Android apps that was worthy of the content backing it. BFM was an early entrant into the app world. The first version of the BFM iOS app dates all the way back to 2011. Their app has gone through multiple versions over the years, but the problem they came to us with was that the latest version of their app was neither satisfying their nor their user’s expectations. It was receiving negative user reviews and was riddled with poor usability and bugs. BFM came to Snappymob looking to see if we could do better and we jumped at the chance to help – not least because we are ardent listeners ourselves. We dove into the project and had tight-knit discussions with the BFM team to understand their expectations. 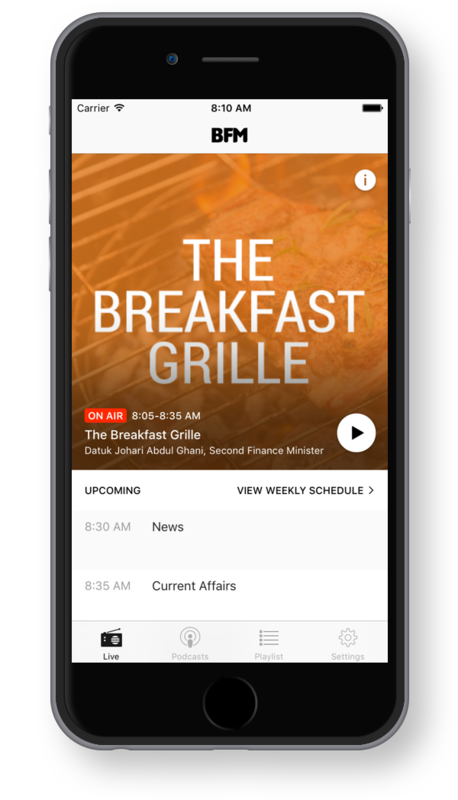 Our solution was to rework the BFM app from the ground up with a laser sharp focus on the fundamentals – deliver the best possible live streaming and podcast experience for BFM’s listeners – and to provide BFM a base the they could build on for the future. Handcrafted design & robust engineering. The intuitive, delightful, and effortless user experiences in the best apps often belie the painstaking and deliberate design thought that go into them. The BFM iOS app is no different. Our team obsessed over every user flow and screen in the app and reworked designs for each feature you see in the app numerous times. A great user experience was the anchor that kept us grounded. If something seemed good on paper – but ended up feeling wrong in your hands, it meant going back to the drawing board. Great designs are only one side of the coin though. Without the backing of a world class engineering team, great design vision can be compromised and left disappointingly unfulfilled. The number of technical challenges were innumerable but our capable team of engineers leveraged their copious experience and used every trick up their sleeves to bring the new BFM iOS app to life as it was meant to be. A custom streaming solution delivering on BFM’s requirements for low latency streaming and support for high-tech synced audio-video ads. BFM has a library of great content that spans on air streaming, podcasts, and videos – all of which grows daily. We implemented a solution that makes accessing the entirety of BFM’s content intuitive and unobtrusive. myBFM is an advanced subscription and playlist system in the app allows BFM listeners to customize the app just for themselves and access their preferences and content from all of their devices. We could tell you about the great feedback the app has been getting from users writing in and on the App Store. We could tell you about the awesome user retention and growth metrics that the app has been achieving. We could tell you how excited BFM is with their new iOS app and the plans they have to build upon it for to expand their business. But why not download it and see for yourself? iOS wasn’t the end of the story. Concurrently with development of their new iOS app, BFM was developing a new Android version as well. Although Snappymob wasn’t tasked with development of this version, we worked with BFM’s Android team to provide design resources to help the Android and iOS versions to design parity. Following launch, the Android version was being affected by more technical issues than desirable. The audio streaming of the app in particular was encountering consistently negative user feedback. BFM turned to us to help solve their problems. We embarked on a significant revamp of core systems in the app, including successfully rewriting the entire audio subsystem. Since then, the app’s ratings have steadily improved and we’ve taken over responsibility of BFM for Android. In the end, great products demand great content. All things considered though, the fact is that a well crafted app would be nothing without having great human content. And that is where BFM shines. With great programming that encourages people to think about the issues of the day, BFM is truly making a difference. We are proud to be able to help.